Nassau, The Bahamas – The new six-legged roundabout, the first of its kind in The Bahamas, is functioning as expected and providing a smooth flow of traffic for motorists. The roundabout which opened on Monday, August 30 is intended to improve traffic flow conditions at John F. Kennedy Drive, Bethel Avenue, Farrington Road, the access to the 21st Century Road and Thompson Boulevard to accommodate the newly constructed link from West Bay Street. The corridors are a part of the New Providence Transport Programme. “Motorists are learning how to use the roundabout; traffic is flowing and it is working very well,” Charlene Collie, engineer and public relations representative for the New Providence Road Improvement Project said. “Traffic has been flowing since the roundabout opened. This is one of our objectives to cause traffic to flow in a safe manner along the roadways. “We are encouraging motorists to use their blinkers in order to navigate the roundabout properly and to plan ahead so when they select the lanes they can select them in a safe manner as they progress through the roundabout,” Collie said. Additional work to the roundabout includes line markings, landscaping, signage and street lighting. “We’ve also completed the construction of sidewalks on both sides of this junction to accommodate the heavy pedestrian traffic particularly as there are two schools nearby. “We have installed some of the permanent signs but there are more to come. We’ve been pushing to have the junctions clearly marked so that motorists would be able to utilise the area properly,” she said. Education campaigns on use of roundabouts and roadways in New Providence are among the Ministry of Public Works and Transport’s plans for the upcoming year. 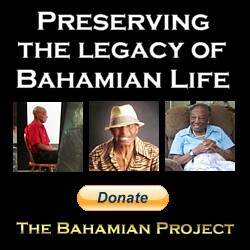 The campaigns will be done in collaboration with the Road Traffic Department and the Royal Bahamas Police Force.